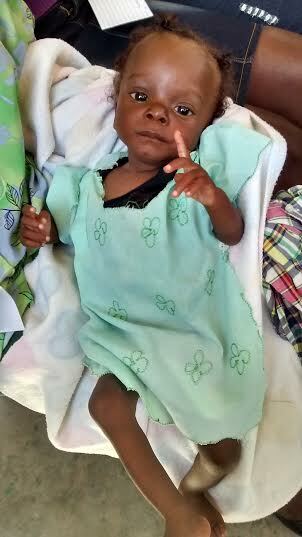 These 2 month old twin boys are desperately in need of nutrition for the next 2 years. Their mother died one month after giving birth and now their grandmother and aunt are struggling to feed them. 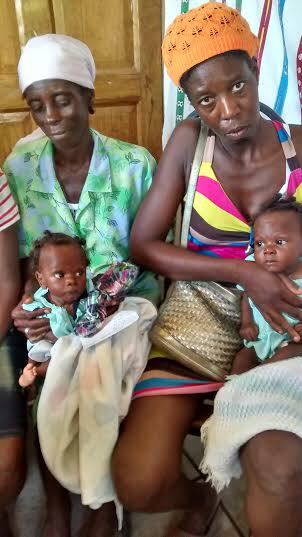 They live in a remote area near Morne Augustin on La Gonave Island and came to our medical clinic this month. 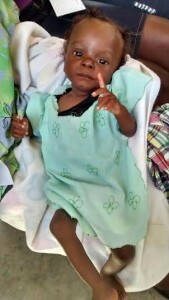 We are looking for at least $75 USD per month to provide infant formula for them so if you are able to donate anything at all please click on the PayPal link. The aunt and gran are doing their best to care for them but are extremely poor, underweight and malnourished themselves. They have been giving the babies water, rice and occasionally cows milk, which is all they have. We were able to give them one tin of formula which was all we had but are hoping that we can find some support for these little babies. We will be gifting them a goat so when the babies are older they can have goats milk, but for now they need formula. This entry was posted in Uncategorized on October 28, 2015 by Ailsa Young.